McMuffins, Sausage Burritos, Hash Browns and Hotcakes for breakfast, lunch and dinner? That could be the new reality at McDonald’s restaurants around the country as soon as this fall. That is, according to a memo recently sent to franchisees and employees of the fast good giant, the Wall Street Journal reports. As we’re well aware of by now, McDonald’s began testing a (limited) all-day breakfast menu in several markets – starting in San Diego and recently expanding to Mississippi and Tennessee – earlier this year, and it appears those trial runs are going well. The company memo, sent from an Arizona franchisee heading the task force for all-day breakfast, notifies franchisees to be ready for the possible launch of all-day breakfast as early as October. McDonald’s did not immediately respond to the WSJ’s request for comment on the memo or the potential nationwide launch of the all-day breakfast menu. But before consumers’ dreams of a nationwide all-day breakfast bonanza can come true, franchisee committees must approve the move. According to the WSJ, restaurant operators must place equipment orders by mid-August and decide whether or not they want menu boards to feature the breakfast items. “We want to make it clear that we are not being presumptive that this will launch, but we want to make sure the system is ready to turn quickly and launch all day breakfast should all of you believe and support that direction,” the memo stated. Votes from franchisee leadership groups are expected to be held – at least initially – on August 14. 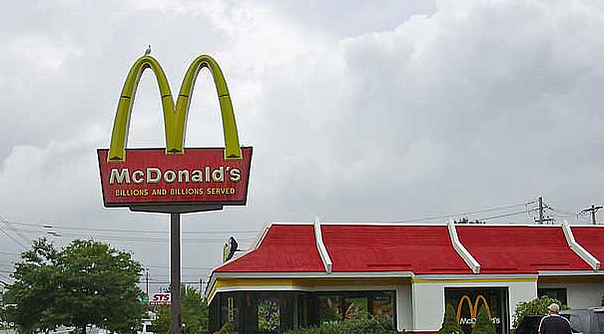 The Golden Arches began testing a limited all-day breakfast menu – featuring McMuffins (Egg, Sausage, Sausage with Egg), the Sausage Burrito, Hash Browns, Hotcakes, Hotcakes and Sausage, Fruit & Maple Oatmeal and Fruit ‘N Yogurt Parfait – in March, after years of customers expressing their desire for the meals.